Sciatic nerve pain now accounts for more than 40% of all back pain, and many report this pain to be a problem by the age of 50. Because this type of back pain is so common, it is often treated with a written prescription for physical therapy and a prescription for nerve pain. The most common prescription used for nerve pain, Neurontin (generic is Gabapentin), has been known to cause severe depression. Treating pain has become problematic in the United States, mainly because of the side effects and the risk of addiction to these medicines, but that doesn’t mean that they don’t serve a purpose temporarily. If you are suffering from this type of nerve pain, it’s important you know the risk factors. This includes obesity, occupation, sitting for long periods of time, age, and if you are diabetic you are at risk for nerve damage with uncontrolled blood sugar. Are you suffering from this condition? Are you getting chiropractic treatment, but you feel you need something more? Are you tired of paying high prices for medicines prescribed for nerve pain? Today, we are going to discuss the complications of sciatic nerve pain, the diagnosis and what typically happens with patients, as well as how PEMF therapy could reduce your sciatic nerve pain. A diagnosis is an educated guess, but there are many cases in which the doctor is able to make a firm diagnosis based upon all of their observations and testing. There are numerous doctors out there that have spent thousands of hours researching as well as interviewing patients about their back pain, hip pain, and most of all their leg pain. All three areas subject to pain are also subject to the discussion of the sciatic nerve and the best approach for treatment. 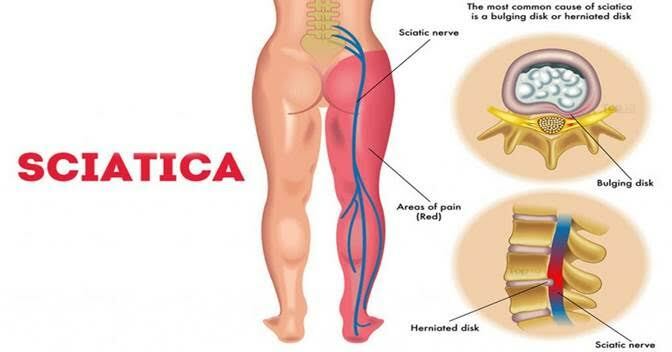 The sciatic nerve doesn’t just affect the lower spinal cord, but it also has a lot to do with the hip and leg, as it runs all the way down to the foot. The pathway of this type of pain is different for each individual, but the constant burning sensation or sharp pain can be enough to send you to the emergency room. Numbness may also be problematic for an individual, especially in the case that they are suffering from nerve root compression. 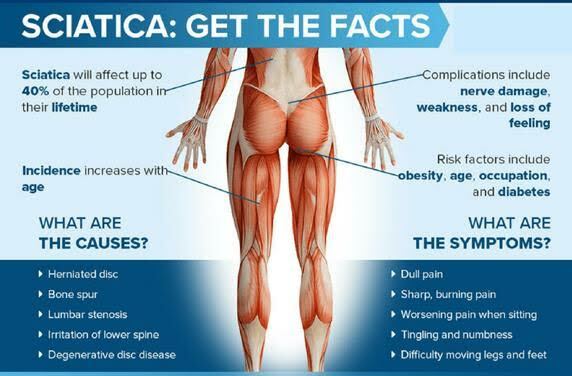 Compression is commonly aligned with the risk factors we listed above, but this is because the sciatic nerve is the largest and the longest nerve in the body. If you have been feeling this pain for quite some time, it may be difficult to identify the true cause of the pain. The sciatic nerve runs through your vertebrae, and it runs around your hip bones, so it can be easily dismissed by a fall in the house or even playing sports. 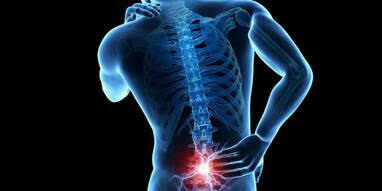 Twisting the body at an odd angle for a split second can cause that sharp pain at the bottom of your spinal cord. Can you recall what you were doing prior to the onset of your pain? How long has this pain been a problem? All of these questions are important, and it can help both you and your doctor to pinpoint the root cause and how to approach a treatment plan for you. The goal for you and your doctor is to properly diagnose the problem as well as to understand the complications of sciatic nerve pain. While we cannot make a diagnosis for you, the complications are below as a guide to help you understand how this could impact your ability to move function according to your regular schedule. Nerve damage. This is the first and foremost problem you’ll face. When nerve pain is left undiagnosed, you are left without a picture of how to go about feeling better and getting back to your regular activities. Tingling and numbness in the affected leg.Many individuals have said that one side seems to be worse than another, but outside of pain it’s important to note any tingling or numbness. Loss of feeling in your leg could indicate a severe nerve impingement or other problem. This is why it is important to get a diagnostic test as soon as possible. Weakness in the leg may also be a concern. Loss of bladder or bowel function. This is important to note as your condition may have progressed, causing further problems with your spinal cord. There are numerous tests that a doctor may put you through to help get as accurate a diagnosis as possible. The straight leg raise is one of the first tests, but there are many other simple tests given to see if the patient’s pain can be reproduced. Hip muscles are also assessed to cover all of the areas in question, and that is great news for those feel deep pain around the hip and low back area. There are numerous challenges within the low back and hip region that bring about sciatic nerve pain.  Outside of physical therapy and prescription medications, is there a better way to treat it. Reducing pain is a common problem in the medical community because pain medications have come under fire as many states work to reduce the number of narcotics being prescribed. There is no doubt an epidemic with pain medication across the country, but things have been improving in many states regarding the process of how pain medications are issued. Many doctors have failed to issue non-narcotics as well, in an attempt to make sure that they have covered all areas of the history of pain with their patients. This is great news, but as things continue to change awareness should be brought to new approaches to wellness. The concept of wellness is that you aim to heal the body rather than treat the symptoms. Finding the root cause with an MRI or x-ray is still necessary, but the consistent use of PEMF therapy for the low back and path of the sciatic nerve may reduce the pain naturally. Although you may be using a prescription for pain, you can still start using the Centurion Systems PEMF therapy now. The Centurion Pulsed Electromagnetic Fields aids in healing at the cellular level, which means that nerves will heal over time and increase blood flow to the affected area may speed up the healing process. There are numerous reasons you could try PEMF therapy but learning how to get healing via the path of wellness versus consuming high amounts of pain medication is a great start. Always talk to your doctor before you try anything new, including PEMF therapy.